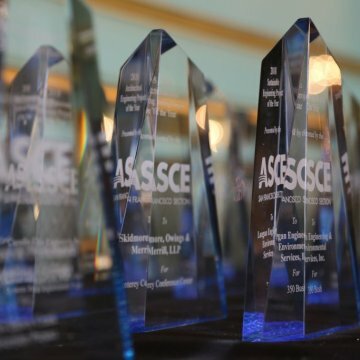 On September 6, 2018, ENGEO received the ASCE 2018 Geotechnical Project of the Year Award for the geotechnical engineering of the Blu Harbour Redevelopment Project in Redwood City, California. 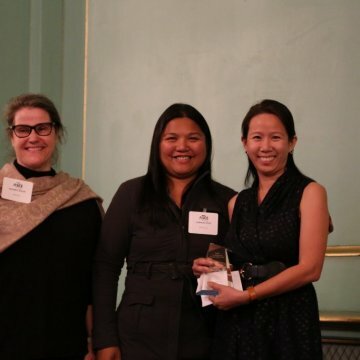 ENGEO Project Manager Janet Kan received the award on behalf of ENGEO at the ASCE San Francisco Section Annual Business Meeting & Awards Ceremony. The event was held at the Historic Green Room at the San Francisco War Memorial and Performing Arts Center. 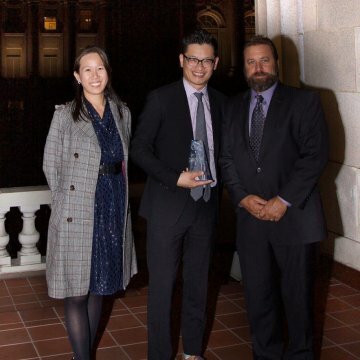 The San Francisco Section Awards program recognizes Outstanding Projects in Civil Engineering and Outstanding Individual Achievement. The project also received the 2018 CalGeo Outstanding Project of the Year Award in April 2018. Urban development in Northern California is fueling innovations in geotechnical engineering as more complex sites are developed. Intense job growth around the Bay Area puts increased demand on high-density housing in urban developed areas. The Blu Harbor residential development is located in Redwood City, a seismically active region in California. Once a former marshland with a major slough until the late 1950s, the site was reclaimed by placing imported fill over the native compressible clay deposits, locally known as Bay Mud. The project site was formerly used as a private marina with approximately 50 boat slips. 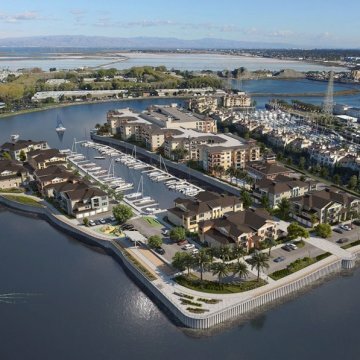 The 12½-acre site is surrounded by water on three sides, with an inner marina at the center of the site. 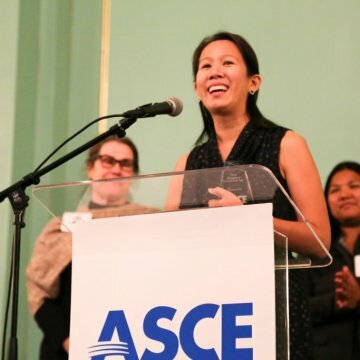 Founded in 1852, the American Society of Civil Engineers (ASCE) represents 130,000 members of the civil engineering profession worldwide, and is America’s oldest national engineering society. ASCE’s vision is to position engineers as global leaders building a better quality of life. The practice of civil engineering is broad and diverse, ranging from power generation and maritime technology to structural and transportation engineering. Similarly, the actions of ASCE support and bolster a wide range of goals and practices. The ASCE San Francisco Section serves the coast of Northern California from Monterey Bay to Oregon, as well as the entire Bay Area and Fresno County.